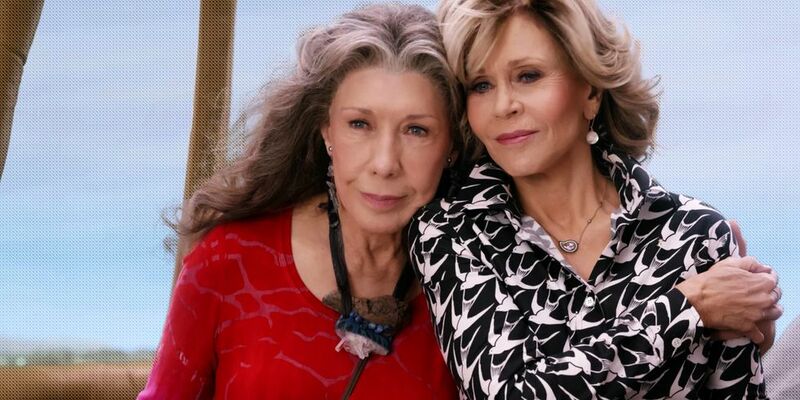 Now in its fourth season on Netflix, Grace and Frankie has gained in popularity and has shown there is a real market for shows with post middle age characters who are fun, vibrant, fully engaged in life, and anything but “old.” And here’s the cool thing. The show not only appeals to other post middle age people but has garnered a cross-generational audience. Why? Because we’re cool. 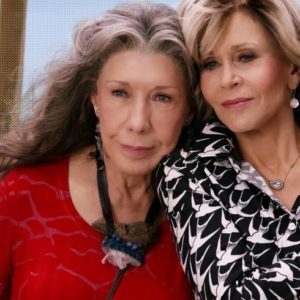 Turns out millennial women love Grace (played by Jane Fonda) and Frankie (played by Lily Tomlin). “They’re women we’d like to hang out with,” many have said on social media. And they have become style icons. 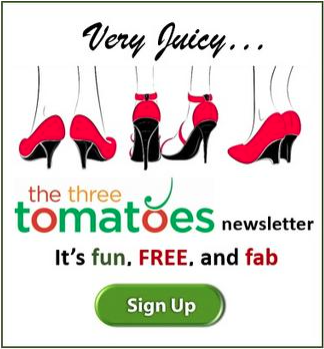 Not only do Tomatoes love their clothes (and the top-rated post at The Three Tomatoes ever, is this one on Shopping: Grace and Frankie Style), but millennials love the fashions too – especially Frankie’s bohemian style. 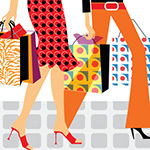 Their looks are created by Emmy-nominated costume designer Allyson Fanger, who in several articles has shared some of these fashion secrets and where to get the clothes, or at least the looks. So, here’s a Grace and Frankie style update, with some of their classic looks, and how to get the look. Frankie wears lot of flowy kaftans, kimonos, and large chunky jewelry which embodies her artistic free spirit. In an interview in The Cut, costume designer Allyson Fanger says she finds Frankie’s clothes anywhere “weird and strange.” These have included Current Affair a vintage popup in Brooklyn (the next one is May 18th) , and Nomad, a vintage shop in Cambridge, Massachusetts. And don’t forget her classic t-shirts too. 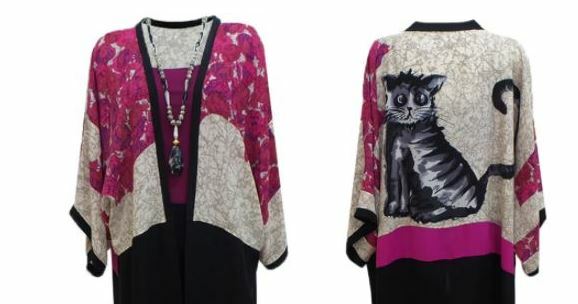 We just love this beautiful kimono from Harari – $415. 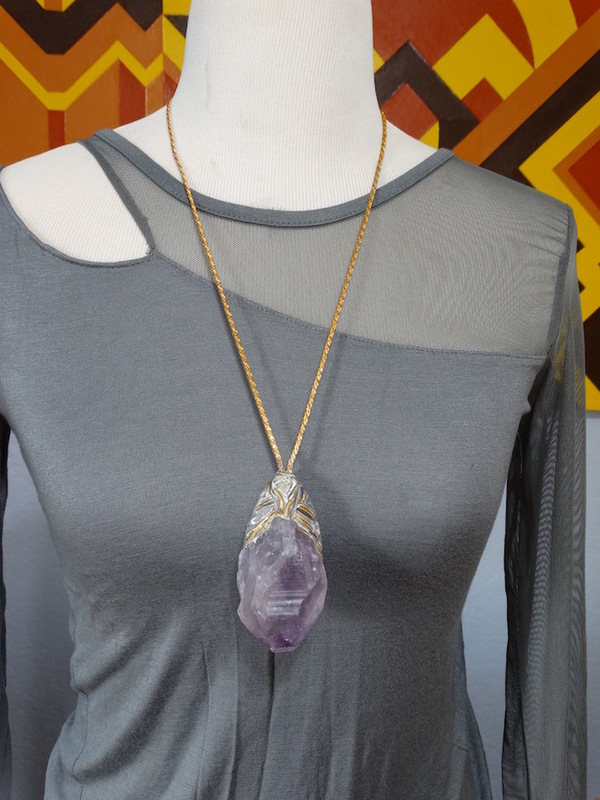 We love Frankie’s Jewelry and some of it comes from artist Adina Mills, like this beautiful natural amethyst with a small embedded prytie stone on a vintage chain. All of the pieces are formed by hand by the artist. 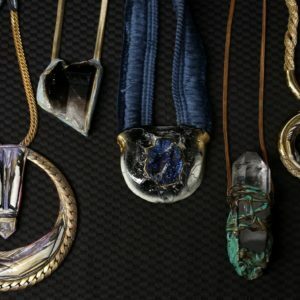 They are art first, jewelry second. $210 from Adina Mills. Bryn Walker is another designer whose clothes are worn by Frankie. Just love this. Frankie loves her kimonos. Here’s a fun one from Amazon. On the opposite spectrum, Grace’s style which reflects her character, is much more buttoned up and conservative. When the first season started, she was just “retiring” from a successful cosmetic company she had founded, and she wore a lot of very tailored suits, crisp white shirts, and classic silk blouses. But as the series has evolved, and due in part to Frankie’s influence, Grace’s look is now more casual, but always classic. For Grace, Fanger says she often uses St. John Knits, Ralph Lauren, Carolina Herrera, Brooks Brothers, and Margaret O’Leary for the best beach cashmere. 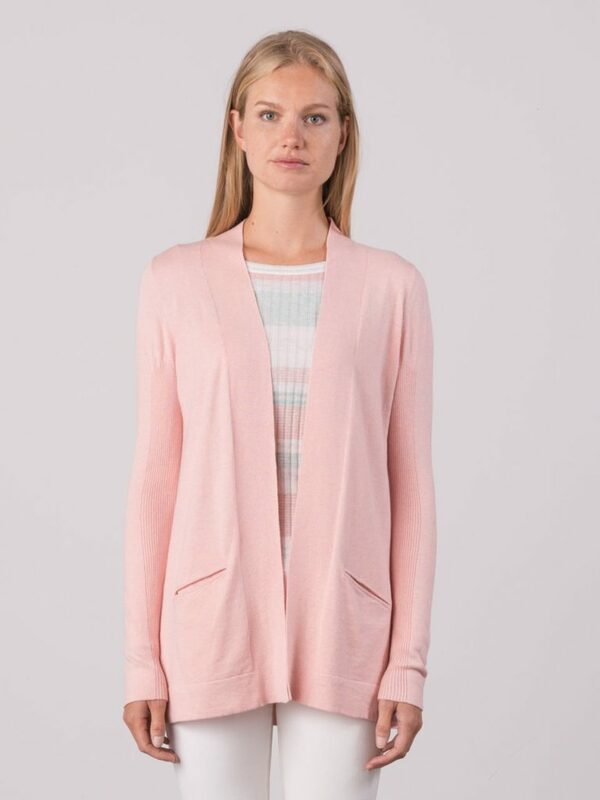 This two pocket cashmere pink cardigan, from Margaret O’Leary $180, looks very much like the one Grace wears in season 4. 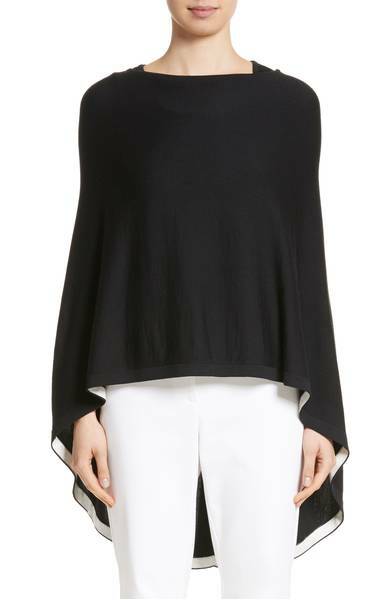 This beautiful Rib Knit Poncho Sweater from St. John Collection is definitely something Grace would wear. $495 from Nordstrom. 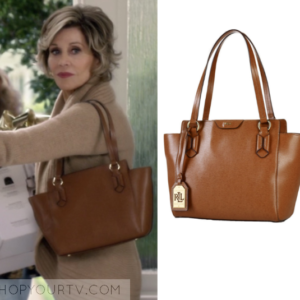 Many of Grace’s handbags are Ralph Lauren, similar to this leather tote. 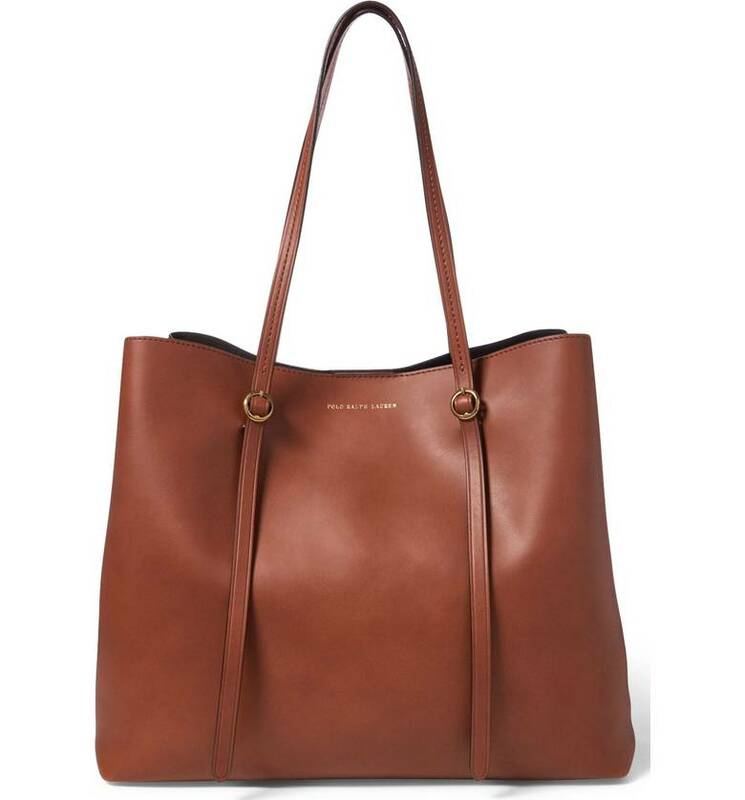 This one features signature brass buckles topping a refined, minimalist tote crafted from supple Italian leather. $328.00 at Nordstrom. 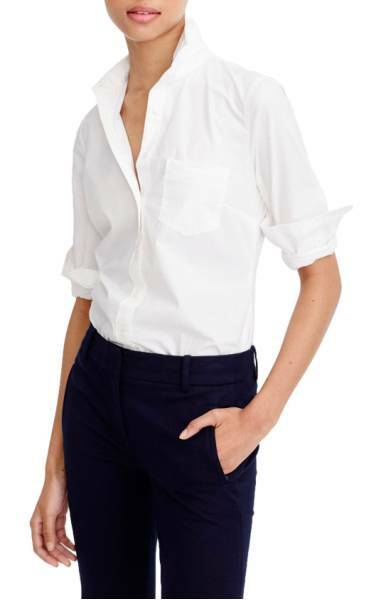 We love Grace’s crisp white blouses whether she’s wearing them with a power suit or a pair of jeans. 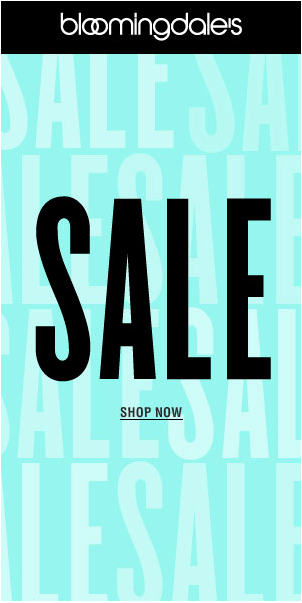 This one from J.Crew is perfect. Available at Nordstrom for $69.50. Love Grace’s casual boyfriend jeans? Get the look with these stretch joins from NYDJ. $134 at Nordstrom. 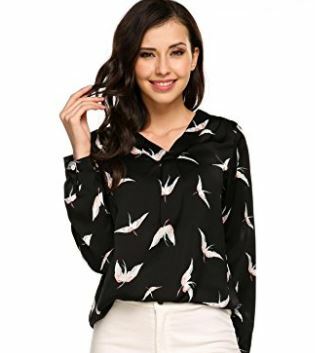 Grace is very into print blouses with birds this season. 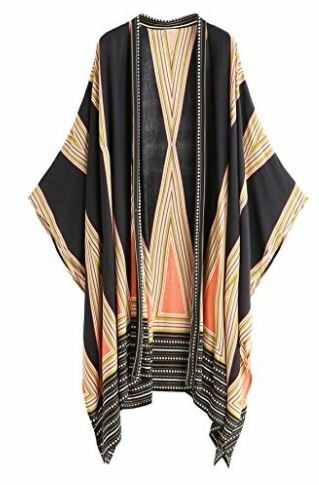 Check out this one only $15.59-$21.78 from Amazon. I love Frankie style, though for myself, I prefer less color. I have ulterior motives for leaving a comment. I make conceptual art jewelry from re purposed metal. I would love to see it on Frankie at least once. I follow Allyson on Instagram, and I think she has seen my posts. My work is different from what Adina Mills makes, but still dramatic. Please take a look at my website, Instagram, and see what you think. If you find out please let me know. I’m obsessed! Me Too!! Especially the ones she’s wearing in Season 2, episode 2. Love Them!! I would love to know what brand they are. What brand is the white leather bag Grace carries. Has braided 2 tone leather handles. It’s called Wakefield by Ralph Lauren. I can’t find it anywhere! I would love the housecoat that grace wears the night they helped their friend die with the pudding. What brand are Frankie’s denim overalls? Where can I get Frankie’s floral pajamas on season 5? 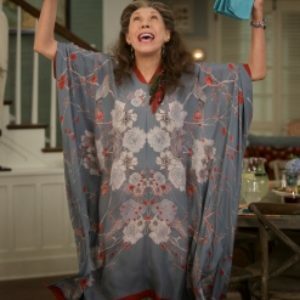 Where can I get Frankie’s floral pajamas in season 5? Ditto. Love both the pajamas AND the robe. I also want the pajamas! Where did they come from? 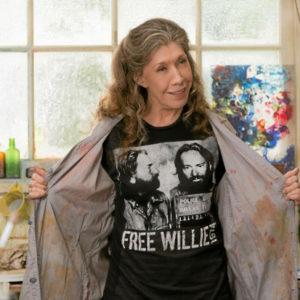 Does anyone have info about the great graffiti shirt Coyote wore in season 5 episode 5? It’s s.o great! Looking for source of Frankies flower scarf (morning glory) from season 5? I’d love find the thin sleeve shirts Frankie wears under her clothes! Where can I find the poppy scarf Frankie wore in season 5, episode 10. Thank you! Where can I find the sheer armed long sleeved shirts Frankie wears under her shirts? 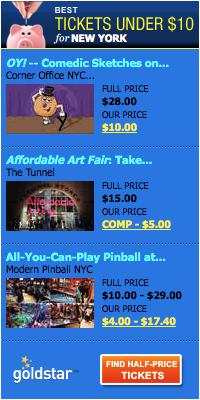 Looks a lot like sleevey wonders, check their website. I am also looking for the dress Grace where’s to the wedding in season 5 episode 12. I think it is a Burberry belt bag. MSGM floral blouse is $208. 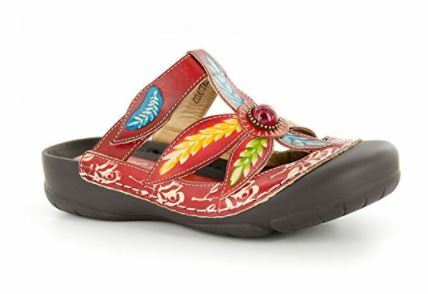 Coldwater Creek has a similar one (Grace’s Garden) for $80. 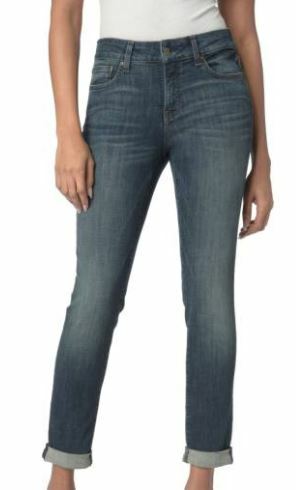 Looking for Grace’s mid rise boot cut jeans. Where can I find the sheer undershirts Frankie wears so often? She seems to have them in a rainbow of colors. I love her style. Thanks. 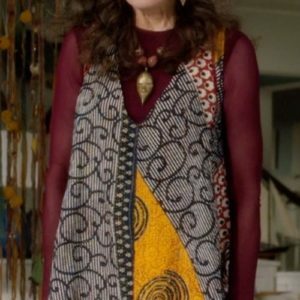 Looking for the silver/gold necklace Grace is wearing with yellow printed blouse in Season 5 episode 1. These jeans are perfect .. where do I get tgem??!!!! Grace has a navy blue and white buckle tote! Who is the designer? I think I’m looking for Frankie’s shoes worn to the funeral in Season 1 ep 4. Were they navy blue? I love the dress Grace wore at Buds wedding, where can I find it?! Where do I find the cream colored cable knit turtleneck cape sweater that grace wore in season 5 episode 11? Looking for Grace’s turquoise flower necklace season 4 ep.1. Love it!! Grace’s white blouse she wore with her suit hen they made presentation to the guy she now dates. So crisp…and the collar pops beautifully. Smart! Just saw Chico’s new ad for wrinkle free /stain free white shirts! Their no iron shirts are fantastic; I must have 8 or 10, no kidding! Where can I find the dress Frankie wore at Bud’s wedding in Season 5 Episode 12??? I LOVED it! Where can I get the blue print dress that Babe wore? The glasses! What brand are Grace’s glasses????? Where can I find white asymmetrical top with black stripes that Grace wore to Babes party?? Looking for the Pink Wedding Dress… PLEASE?